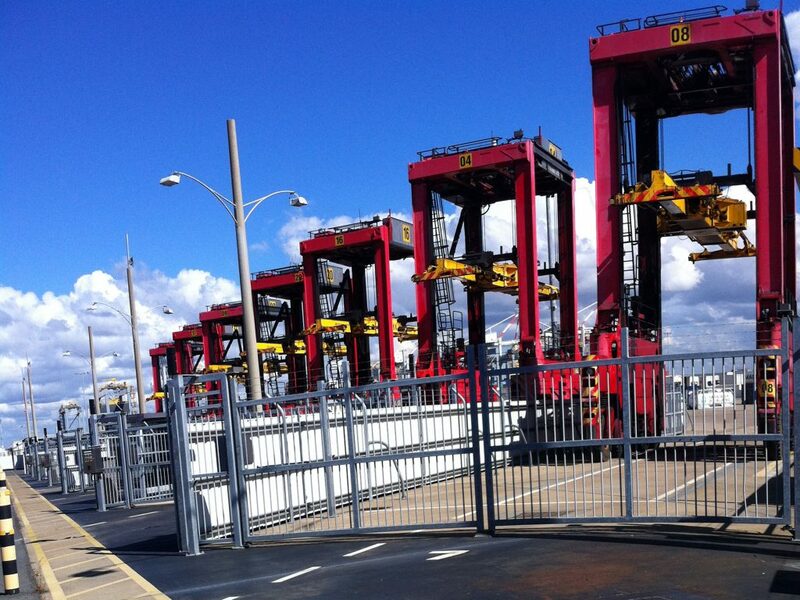 To improve the efficiency and productivity of automated container handling vehicles used in the port services industry, CTS was commissioned to provide a radio remote control system for the loading and unloading of containers from delivery and dispatch trailers. The specification for the equipment placed a high importance on equipment reliability, security of the systems data telemetry and user-friendly operation. In addition to controlling the operation of the container handling vehicles, the radio control system was also to have the ability to display message and status information as feedback onto the operator’s control console. For this application CTS, in conjunction with HBC Radiomatic, offered the 727 Spectrum B radio control system with two-way communication and LCD feedback. The radio control system enables the operators to load and unload containers from a location outside the automated vehicle area, ensuring safe and efficient operation.